Nollywood is often portrayed by the popular press as an unruly industry, with mysteriously fast and cheap production and shadowy distribution networks. In the first overview of Nigeria's burgeoning video film industry, Jade L. Miller reveals that this portrayal is over-simplistic and often untrue. 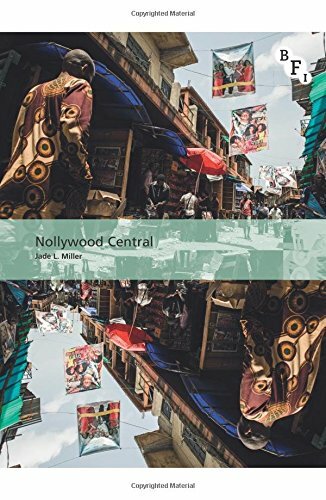 Investigating Nollywood's complete global production and distribution chain, Nollywood Central presents a full portrait of the Nollywood industry as both highly organised and strategically structured. In doing so, it interrogates the position and rise of new cultural industry hubs, demonstrating how a creative industry can emerge, be sustainable and circulate globally even though it exists outside of formal global networks and government-supported infrastructure. Deepening understanding of this prolific industry while at the same time contributing to debates surrounding global flows of culture, this is a critical resource for students and scholars of Media and Communication Studies, Film Studies, Television Studies and African Studies.